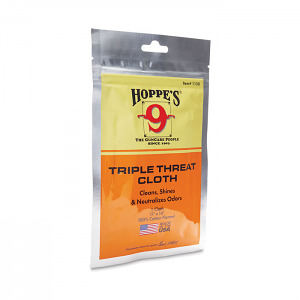 Hoppe’s Triple Threat Cloth cleans, shines and neutralizes odors. Made in the USA from 100% cotton flannel. Packaged in a resealable foil pouch. Remove cloth from bag, rub cloth on all exposed gun surfaces.